Avendus advises CrossView on its strategic acquisition by PFSweb (NASDAQ: PFSW). 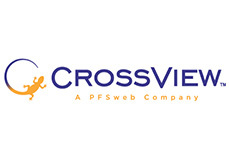 CrossView Inc., an eCommerce system integrator focused on SAP hybris and IBM Websphere Commerce has been acquired by PFSweb, Inc. (NASDAQ: PFSW), a global provider of end-to-end eCommerce solutions, for $38 million, plus additional contingent payments based on future EBITDA targets. "In-step with our growth-through-acquisition strategy”, said Mike Willoughby, CEO of PFSweb, “CrossView solidifies our technology service offering with IBM WebSphere Commerce and SAP hybris integration capabilities." Avendus Capital, Inc. was the sole financial advisor to CrossView for this transaction. Founded in 1997, CrossView delivers strategy and technology services to brand manufacturers and retailers, helping them create a fully connected commerce enterprise. CrossView unifies websites, brickand-mortar stores, call centers and other channels on the IBM WebSphere Commerce and SAP/hybris platforms. CrossView services include business strategy development, user experience design, solution implementation, and hosting and managed services. The company has nearly 240 team members in the U.S., Canada and India, and expects to generate approximately $35 million of revenue in 2015. PFSweb (NASDAQ: PFSW) is a global provider of end-to-end eCommerce solutions including digital agency and marketing services, technology development services, business process outsourcing services and a complete omni-channel technology ecosystem. The company provides these solutions and services to major brand names and other companies seeking to optimize every customer experience and enhance their traditional and online business channels. PFSweb supports organizations across various industries, including Procter & Gamble, L'Oreal, LEGO, Columbia Sportswear, Ricoh, Roots Canada Ltd., Diageo, T.J. Maxx, the United States Mint, and many more. PFSweb is headquartered in Allen, TX with additional locations in Tennessee, Mississippi, Minnesota, Washington, New York, Ohio, North Carolina, Canada, Belgium, London, Munich and India. About Avendus Capital Pvt. Ltd..